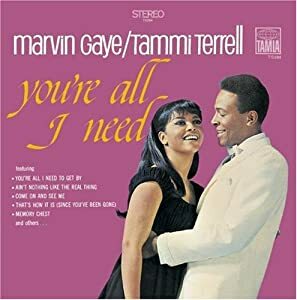 Last night I was watching the new musical show called “Duets” and heard this great duet as made famous by the late Tammi Terrell and Marvin Gaye. I had to look it up and post it for you to enjoy today. There are many music videos of this song on youtube – but I think this is the nicest one – what a GREAT song!! It’s a funny thing – how listening to a certain melody or some past lyrics in a forgotten song, can totally transport me to an earlier time and circumstance. The year was 1968 – I was 7 years old. I used to watch a television show that would feature different popular artists in the 60’s. My favorite song was “Up, up and away” by the 5th dimension. I thought it was important to have a favorite song, even when I was 7 – so that was it. And only because I saw them perform that song on television. I’m sure that I must have also heard “You’re all I need to get by” on that same program because I am almost sure that it is on that show where I first heard it. But if I’m wrong about that detail it would have been when moving to Seattle from Canada in 1969 and I listened to top 40 hits on a little transistor radio. Do you remember it? Where were you when you first heard it? Take a listen and see if it doesn’t take you back. 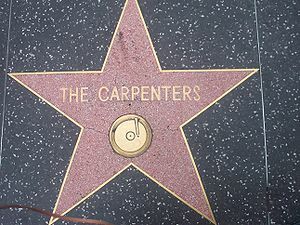 One of my favorite Carpenter tunes. Sadly, this song was never recorded as a single – but a part of an album of other famous songs in the 70’s. The album was entitled “Horizon” and had other notable songs on it, such as “Desperado” and “Only Yesterday”. I think I wore the record out – playing it so much! Every song on the album is GREAT! 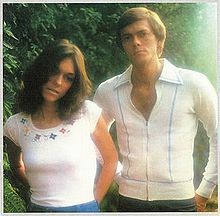 Karen Carpenter was one of the best pop voices of our generation and she died way too young. I remember it well – hearing the news of her death in my senior year of college. It was hard to believe – I have always loved her voice and her music. What an impact she and her brother made on pop music for many to follow after!